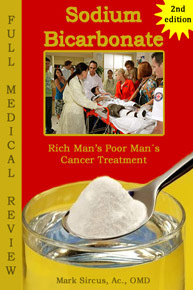 Rich Man’s Poor Man’s Cancer Treatment / FREE PDF. ​Magnesium, Baking Soda, & Love (6/6)by ItsRainmakingTime6,524 viewsnew! This show's guest is Dr. Marc Sircus, the author of Sodium Bicarbonate: The Rich Man's Poor Man's Cancer Treatment and the head of the International Medical Veritas Association (IMVA). The IMVA is a truth-seeking entity on a mission to create the framework for a major overhaul in medicine and health care. Dr. Sircus calls in from Brazil to discuss many important aspects of medicine with us, including effective emergency room procedures, home remedies, and marvelous, inexpensive ways to improve health and the immune system.